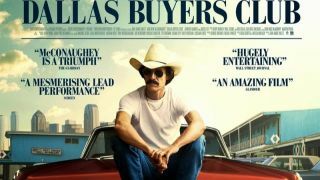 Following an announcement from iiNet earlier in the week which included an offer to its customers for pro-bono legal advice to those suspected of illegally downloading the Dallas Buyers Club film, rights holders and ISPs met again to negotiate compensation for the ISPs costs in divulging customer details. The most foreboding element to emerge from the hearing yesterday was that Voltage Pictures confirmed it would now pursue other Australian ISPs including Telstra, Optus and TPG, for similar copyright violations by account holders. Nathan Mattock, a partner at Marque Lawyers, the representatives of Voltage Pictures, told Mashable yesterday, "DBC will be writing to the other ISPs in the next week seeking consent to similar court orders as those obtained against iiNet." Will other Aussie ISPs stand up for their customers? Since the collective ISPs lost the preliminary discovery case, the involved ISPs are up for 75 per cent of Voltage Pictures' legal fees, which may be enough motivation for other ISPs to roll-over on their customers. Mattock also said that the technology used in the landmark proceedings against iiNet were just a 'test case', which ran for a month and captured only a small selection of pirates. Using the same technology, Voltage now plans to expand to a 12-18 month period where it will capture the IP addresses of infringers from any Australian ISPs. Yesterday Voltage pictures and Australian ISPs reconvened before the court to negotiate the compensation requested by the ISPs for the expenses involved in finding and disclosing the identities of the 4,726 suspected of copyright infringement of the Dallas Buyers Club film. Though in an earlier hearing the ISPs were negotiating for $275,000 in compensation on the operational costs of identifying suspected infringers, the figure currently on the table is $108,000. Both the legal representatives of the Dallas Buyers Club and the presiding Judge believed that the sum requested by iiNet, Dodo, Internode, Amnet, Adam Internet and Wideband seemed excessive, but a decision on the appropriate compensation will not be handed down until June 18th.